I spent my crafting time this weekend on several different projects here and there. I just can't stick to one. 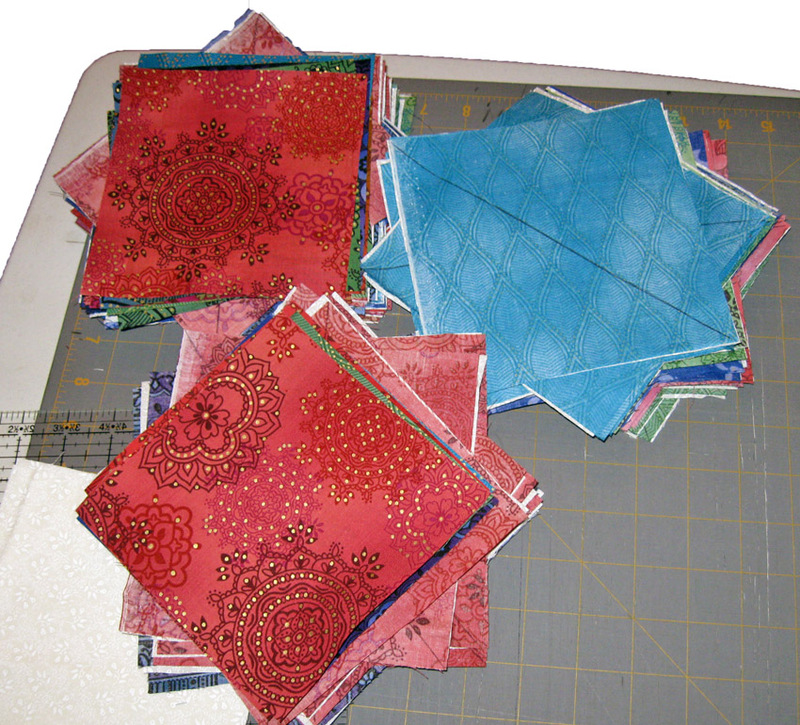 I was able to finish cutting all of my Hoffman Royal Mendhi blocks for the friendship quilt. I took two 6" strips of each fabric (9 different) and cut them into 6" blocks. Based on my calculations, I should have enough blocks for two friendship quilts and a few pillow blocks. I also cut all the cream tonal fabric into 6" blocks. I marked the diagonals on all the Mendhi blocks and paired them each with a cream tonal block. I'm ready for assembly sewing the blocks 1/4" on each side of the center line to make half square blocks. I did manage to finish 4 complete blocks as seen below. 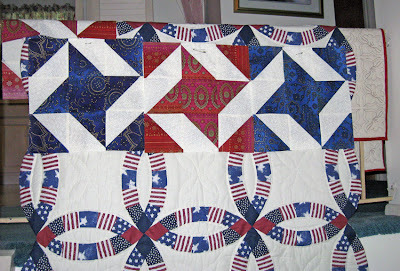 When I pinned each one up individually, it gave me an idea that I would like to make a red, white, and blue one as well.